Vidhya : I am basically from a vegetarian Tamil family. Now living with hubby and lovely 2 kids ( 1st son 13 yrs and 2nd is 9 yrs) I am a post graduate in Economics and now a homemaker. 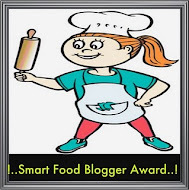 Nithu's Kitchen : What are your other interests apart from your love for cooking and blogging? Vidhya : I love music and I am the Secretary of my Area Ladies Club for 4 yrs .. We do lot of things like social services, conducting cooking competition, Sports competiong etc. Nithu's Kitchen : Great interests Vidhya. When did you start to cook and who is your role model? Vidhya : I have been cooking since i was a teenager and role model ofcourse like all of us My Mom.. She is an excellent cook. Vidhya : I always googled for many recipes. 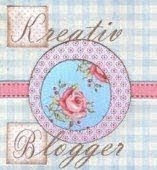 One fine day just like that a spark inside me for starting a blog. so vidhu's kitchen Born . It has given me a lot of encouragement and of course great happiness while sharing with others. 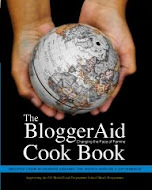 It helps me to meet lots and lots of interesting people and learn many recipes. Vidhya : Hmmm..thinking becoz very hard to answer as there are lot. Usually they love combination and variety of recipes like Veg.briyani- roti-raita- chips- salad- fruitsald with icecream or plainrice-Sambar- rasam-avial-potato dry curry- pachadi- payasam-papad-curd-pickle-anysweet like musurpak (or) burfi. Vidhya : I had seen this recipe on a TV Channel and i added few variations. 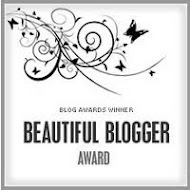 I loved it.. so i decided to make it and ofcourse i want to share this with every one of my blogger friends .. Thankfully it came out well and here it is.. And finally a very big thanks to My dear Friend Nithu for Featuring me in Her Guest post series.. Boil the milk till it reduces to 1/2 of its quantity and let it cool. Mix maida and corn flour and add it to the milk and mix without lumps. It should be smoothy and pouring consistency like dosa batter. Fry it in oil till turns brown on both the sides and keep aside. Make sugar syrup of 1 string consistency . Dip the Malpuas one by one in sugar syrup. Take out from sugar syrup and arrange in a plate. Nithu's Kitchen : Thank you so much Vidhya. Dear Friends, hope you all loved to read about Vidhya and her Malpua recipe. 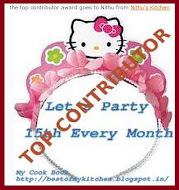 If you are interested to be featured as Nithu's Kitchen's guest please do mail to nithuskitchen@gmail.com. It was nice to know more about Vidhya and as usual a big 'Thanks' to Neethu for making it happen. Malpua looks very tempting. My all time favorite recipe...fantastic tempting click dear. 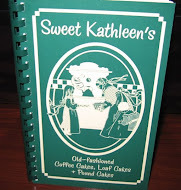 Nice introductin & yummy recipe!! Nice knowing srividhya through your post nithu, and thanks for sharing such a wonderful recipe with us srividhya, looks gorgeous..
looks very nice .. Nice to know about her ..
Its nice knowing Vidhya. Malpua tempting me...and looks very delicious.. Thank you so much nithu and Thank you my dear friends for this encouragement..
Nithu,one more wonderful guest interview.Nice to know about Vidhu.Malpua looks very colorful and delicious. It was nice knowing about Vidhu..Malpua looks really tasty!! Great post Nithu..
Good to know about Srividhya..Malpua looks great..Great job Nithu !!!!! Nice knowing you SriVidhya through Nithu's post. Great Malpua recipe, a variation from what I made, so I will surely be trying this variety once. Thanks Nithu. Thanks u for introducing Vidhya.. Malpua looks so so so tempting!